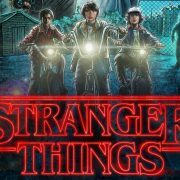 Stranger Things 2 “Thriller” trailer. Dracula hasn’t faired very well in modern film or televsion. The world’s most famous vampire is a genre icon with literally hundreds of adaptations throughout movie history. However, the not-so good Count hasn’t had a solid hit under his cape in years. Dracula Untold was only a modest box office success. TV adventures in the form of the tepid “Dracula” on NBC or Showtime’s critically lauded monster rally “Penny Dreadful” were both cancelled. That makes Dracula’s most succesful outing in relatively recent history Stephen Sommer’s divisive “Van Helsing.” So, it hasn’t been looking really good for the lord of the undead. But you truly can’t keep a good vampire down. 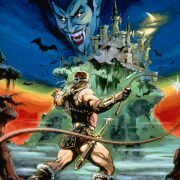 Comic book scribe Warren Ellis and “Dredd” director/producer Adi Shankar have teamed up to adapt the fan favorite horror video game series Castlevania for Netflix. While the results aren’t perfect, they hit the right notes that horror fans are hoping for. 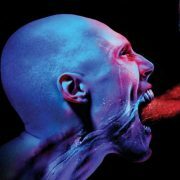 The Strain Season 4 Teaser. Our vampire overlords ask us to give till it hurts. 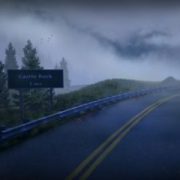 Trailer: Bates Motel Season Five! 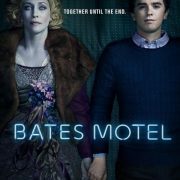 This contemporary prequel to the genre-defining film Psycho has provided fans with an intimate look into the unraveling of Norman Bates’ psyche throughout his teenage years. Fans watched as Norman’s dangerous transformation came full circle when he methodically murdered his beloved mother, Norma, in the final gut-wrenching episodes of Season Four. Retro TV “Buffy” the Yoko Factor! Colonel McNamara speaks to an unnamed, suited John McCain lookalike, who urges the Colonel to get the Initiative under control and get Riley back in their hands. They’ve invested too much in him. 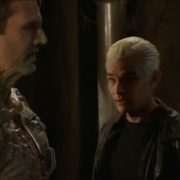 Meanwhile, Spike tries to convince new playmate Adam not to underestimate the Slayer. Cordelia can trace her problems to one event: Buffy’s arrival. When a wish takes Buffy away, Sunnydale becomes a nightmare landscape drenched in darkness and the lusty rule of the Master, Xander and Willow. Can we get the old nightmare back, please? Retro TV “Buffy” The Real Me!